Successfully Added 360 Degree 4K Action Camera - Panoramic Footage, 30M Waterproof Case, 16MP, FHD 2448P, 30FPS, HDMI, Wi-Fi (Silver) to your Shopping Cart. Take your photography and video making to the next level with the absolutely awesome panoramic action camera that is capable of 360 degree full HD footage at 30 frames per second. Looking for a way to make your action videos even more immersive? Then look no further than this 360 Degree 4K Action Camera. It is capable of creating truly unique panoramic footage - something that used to require multiple devices. With the 360 degree cam, you will be able to capture way more than before by placing it in the centre of action. The 360 camera is designed for action and comes with a nice set of accessories for mounting it, as well as a 30m waterproof case. With the case, you can take the camera to all underwater adventures, capture fun diving or snorkeling moments and more. With Wi-Fi support, you will be able to quickly share your footage with friends and on social media. Other Wi-Fi functions include remote control, sync and album sharing. Don't forget to download an app for iOS or Android for more functionality. Of course, you can also save your videos on the SD card, connect it to your laptop with a USB cable or to the big screen via HDMI. The H.264 encoding helps with efficient storage space use and does not affect video quality. The 1/4 inch CMOS sensor makes sure you can capture crisp 16MP photos and there are several photo modes available. Your videos will look great in 2448P@30fps. With the 1200mAh battery, you will be able to enjoy non-stop recoding for up to 1.5 hours. 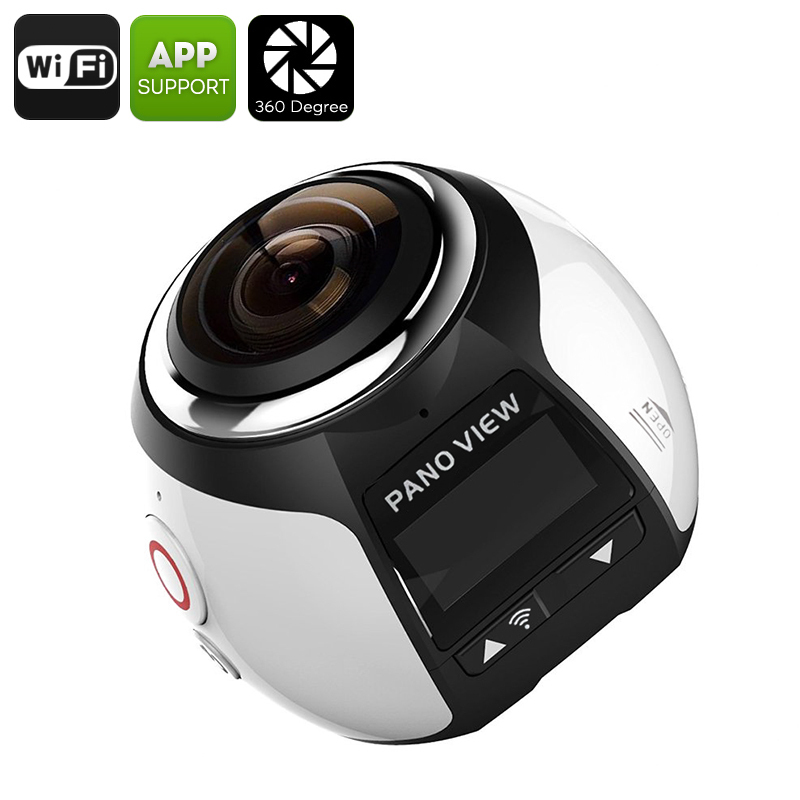 The 360 Degree Panoramic 4K Action Camera comes with a 12 months warranty, brought to you by the leader in electronic devices as well as wholesale action cameras..